Home > ティータイム > これ、知ってる？ – Are you familiar with this? 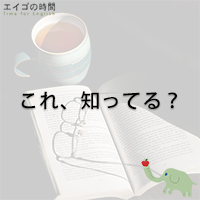 これ、知ってる？ – Are you familiar with this? Are you familiar with the expression “too much to ask“? You must be very familiar with this area. I’m quite familiar with this area.